Accademia Europea dell'Opera: A great summer program for young conductors and pianists who are new to opera and want to try it out. Also open to stage directors looking for experience as assistants. International Institute for Conductors: In 2013, I attended the Institute and spent two amazing weeks in Romania, where I began long-lasting relationships with friends and mentors. I believe any young musician who wants to pursue conducting seriously should consider applying to their program. Newland Custom Batons: For an excellent, high-quality custom-made baton, visit their website! Opera on the Avalon: An ideal program to meet some of the best young singers from Canada, the USA and elsewhere. Open to singers, conductors and pianists. Orford Academy: A great place for pianists who want to learn more about the voice (technique, repertoire, how to work with singers, etc.) and to gain invaluable experience as collaborators. It was at the Academy that I first began working with singers. 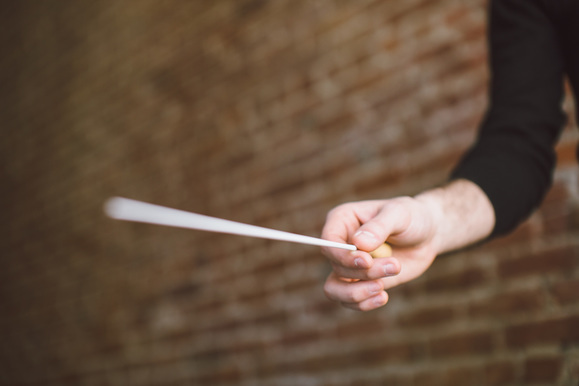 While they don't (yet) have a conducting program, they have extraordinary programs for pianists (collaborative and solo), orchestral instruments, voice and composition.